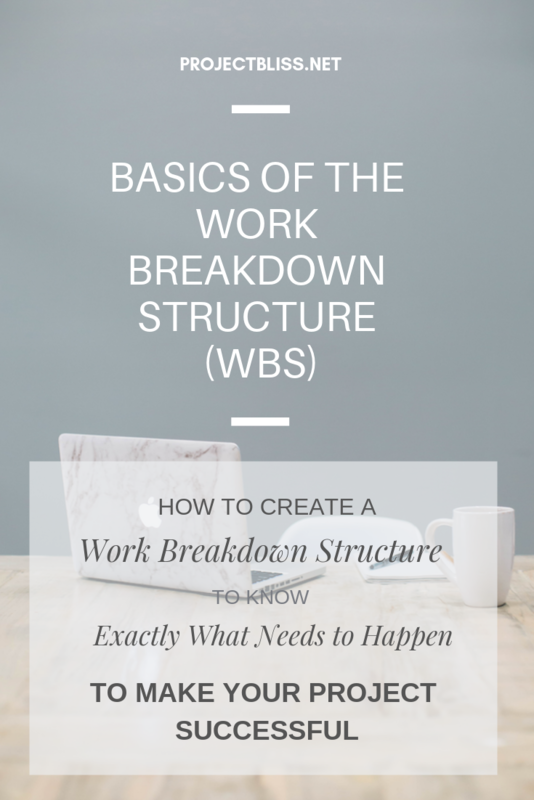 I have a great fondness for the Work Breakdown Structure (WBS). It was one of the first tools I used when moving into IT. 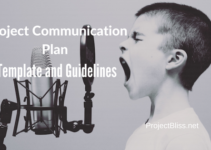 It helped me communicate with the team to understand the work we needed to do to complete our project. Imagine joining a team and being tasked with completing a project you know nothing about. That’s pretty much how I started in IT years ago. I needed to gain the team’s trust, in addition to learning just how we were going to successfully execute our project. And I used the Work Breakdown Structure to help me accomplish both of those goals. If you don’t already use this tool, I highly recommend it. Using the WBS can help ensure that you are addressing all components of the project. The act of breaking down the work into smaller components, and then getting more detail about each of these components, helps you and the team work through the specifics needed. The WBS is built early in the project and will serve as the basis of your schedule. It is important to get input and buy-in from team members via this document. You won’t create it alone. You can build as much as possible on your own but then consult with the team for additional information or changes. One of the easiest ways to build your WBS is to start with a template based on the project scope. If others in your organization have done this type of project before, use what they’ve already created as a starting point. If this doesn’t exist then begin by listing the high-level components in your scope and break it down from there. For example, if you’re working on a software project, you already know many of the components involved: gathering requirements, writing code, testing, bug fixing, go/no-go approvals needed, move to production, and transition to support/maintenance. There can be other components as well. Work with your team to create this list. They’ll have knowledge about what needs to be done. Use their expertise. Then break down the work to smaller pieces. Ask questions like “in order to complete this block of work, what tasks need to happen?” The team members can walk you through a breakdown to create a clear WBS. – Do we need new hardware? – Are there security concerns? – Are we using a third-party vendor? Break the large components down to smaller pieces. Use these to get details on how long each activity will take, who is responsible, and dependencies between activities. Consider lead time needed also. For example, in my experience contract execution can take a bit of lead time before third-party work can begin. 8/80 Rule: A common guiding principle is that no task should be less than 8 hours or more than 80 hours. If a task takes more than 80 hours, it should be broken down further. 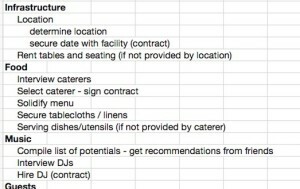 I’m going to use a very basic example of planning a party. Most people are familiar with this activity, so it will serve as a good illustration. And continue until you’ve identified all the tasks you need to carry out to complete the project, broken out by category. This helps you think through all the things you need to do in order to complete your project. There are many tools that can be used for creating the WBS/schedule. I know some folks simply use an Excel spreadsheet, while Microsoft project and other scheduling-specific tools are very popular. It’s important to get this information from the individuals performing the work. 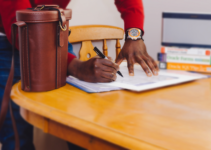 Once you build out your WBS and turn it into a schedule – with durations, dates, dependencies, task owners – use this as an opportunity to ensure that nothing has been missed. If you don’t “own” the resources, then the resource owners can clearly see where their resources are allocated, and when. During your kickoff, you can use the schedule developed from the WBS to ensure that everyone is clear on what has been decided. There are multiple benefits to starting with the WBS. In addition to those mentioned above, it can even help in creating the associated project budget. You can easily identify costs associated with each of the tasks and build your budget from this. You can also see via dependencies where risks lie if any work falls behind. In the party example, if I fail to create my guest list, then the “mailing invitations” task is impacted. If you have a dependency between setting up a test server and user acceptance testing (UAT), then if the test server is not ready in time, UAT is impacted. If you are doing an implementation that has components you are not familiar with, the WBS is a great tool to work from to gain a better understanding. 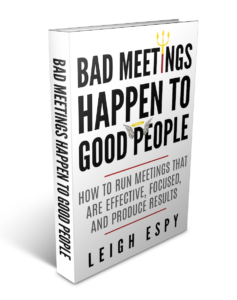 Even if you are familiar with the work, it allows you to ensure that you’ve not missed anything and gain buy-in from the team. It helps identify all the work that needs to happen to complete your project. You gain accountability and buy-in from those doing the work. 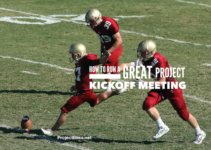 It serves as a starting point to building your schedule and tracking your project progress. Take the time to complete this important part of planning your project. You’ll be smarter and more successful for it.